← Why Is a Pastrami Sandwich On a Dating App? You can’t put Waffle Fry Parm sandwich on a menu and not expect to want to try it! Even if you hide this awesomeness under the “vegetarian” section of your website Thunder Bun! 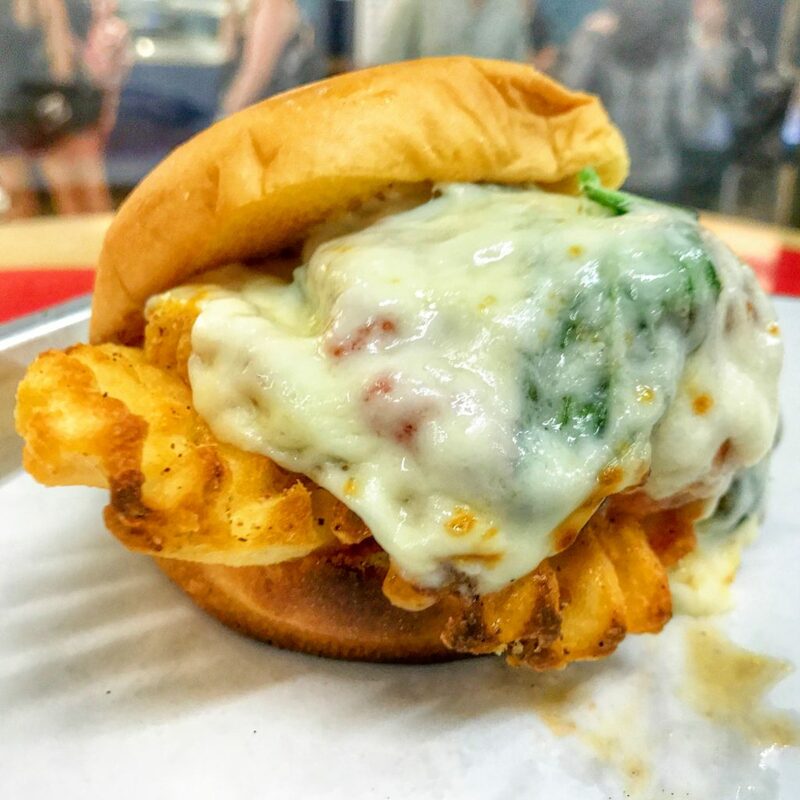 At the new Schnipper’s concept they have a sandwich made with waffle fries topped with gooey melted cheese, roasted tomatoes, grana padana and fresh basil. It’s a Waffle Fry Parm and you need to it. Then thank the Schnipper’s Brothers for creating this magical food moment. This entry was posted in French Fries, New York, Sandwich and tagged schnippers, thunder bun, waffle fries, waffle fry parm. Bookmark the permalink.